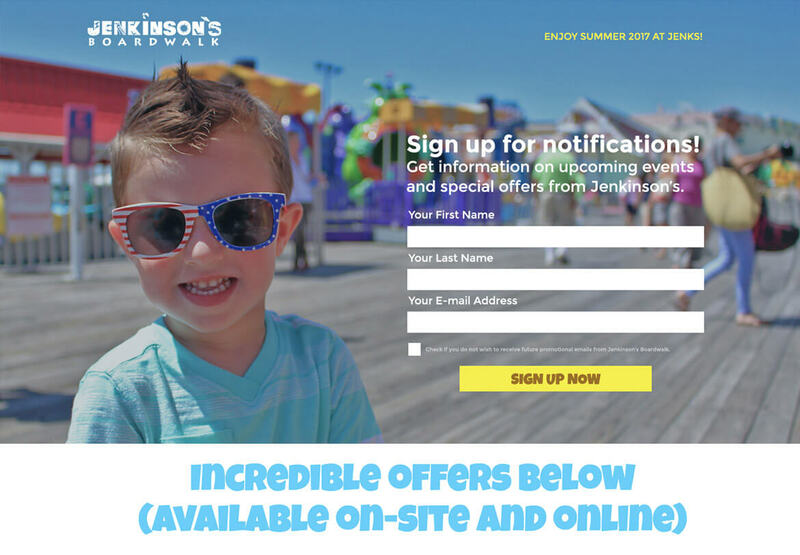 Jenkinson’s Boardwalk, a leading year-round destination for families at the Jersey Shore, was looking to bring their digital marketing program to another level. CMDS was commissioned by Jenkinson’s to attract new customers online for their two biggest campaigns of the year (Easter Ticket Sales and Summer 2017) to boost site visitors into contacts and ultimately customers, extend reach and increase brand awareness and engagement. 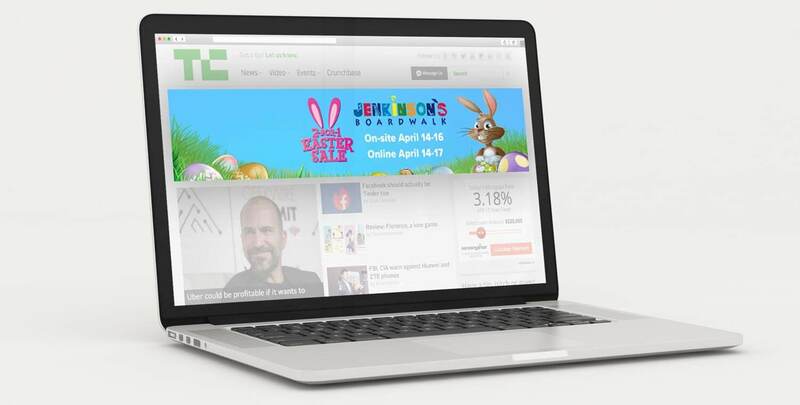 CMDS worked with Jenkinson’s to develop a custom landing page to drive the efforts associated with their Annual 2-for-1 Easter Sale. The goal of this page was to provide an incentive to collect individual’s email addresses so that as the limited dates of the Easter Sale approached, users could be targeted via email marketing and retargeting advertising to purchase! The Jenkinson's brand is based on four key attributes: ride, play, relax, and eat. Based on extensive and in-depth research about the area, we proposed an online marketing strategy with cohesive tone-of-voice, search, retargeting and contextual campaigns on Google, Bing, and a major DSP platform. As part of that, our creative team created custom landing pages that were consistent with the website design but were able to track every action point taken: click on a button, phone call, form completion, or other. Site placements included: Google Contextual ads, Google Sweepstakes ads, Google Retargeting ads, AdRoll Retargeting ads.